Sassda produces a number of publications aimed at increasing the awareness of stainless steel, as well as educational and technical leaflets and videos. In addition, several sectors have produced their own brochures reflecting members capabilities. All available from Sassda’s Offices. This bi-monthly magazine is the official journal of the Association and promotes the awareness and usage of stainless steel, featuring different facets of the industry and reports on current activities and product news both locally and overseas. It also keeps readers up to date on Sassda news and activities. Stainless Steel has an international circulation of over 4,000 readers involved in the stainless steel industry including primary manufacturers, distributors, stockists, fabricators, converters, consultants, designers, architects and end users. 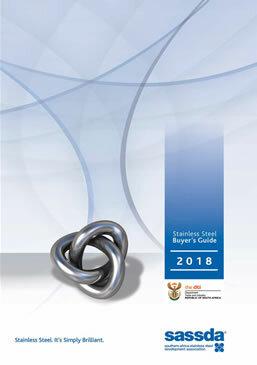 This is the only comprehensive buyer’s guide to the stainless steel industry in Southern Africa. Internationally recognized, its concept and format have been used by other stainless steel development associations as the basis for their own reference guides. 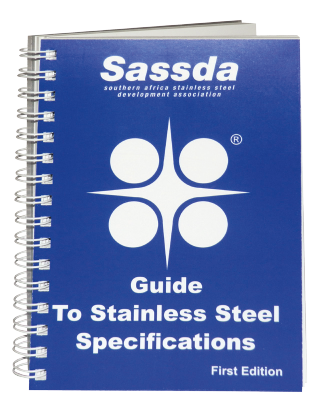 It contains a wealth of valuable information, from technical data on all aspects of stainless steel to a comprehensive list of products and services available from Sassda members.